Keep your child’s brain engaged with these fun and creative activities: Summer is here and school is over. All of you must have planned your outings and trips. These vacations are the best time to have fun with family again. However, it can become challenging for you because you yet have work while you have to constantly think of ways to keep your children active. Research says that students can forget a significant amount of information, learned in the school, during the summers break. How can you save your children from this? Well, we have collected a list of activities which will make your children active again. 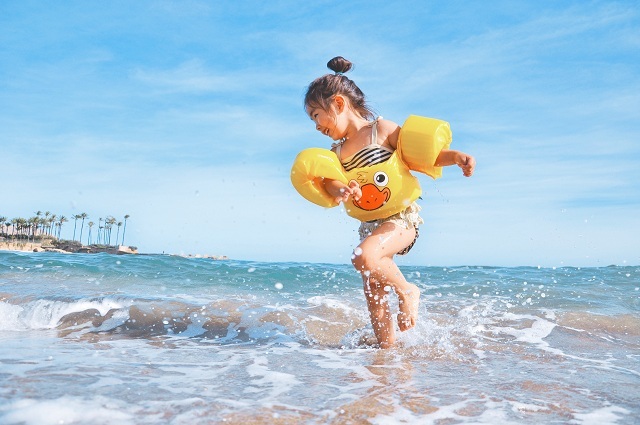 What could be a better opportunity than vacations to create a trip scrapbook that will become a lasting souvenir of family adventures?Ask your kids to make one and collect postcards, brochures, and menus from restaurants and tourist places. More can be done by writing short descriptions about the place and mentioning fun incidents from the time. The scrapbook should have photos with captions and little stories. If your child wants to make it a professional quality photo book then you can seek help online. The most fun part of any trip is before you start the trip –planning. Involve your children; show them how to use the map to locate cities and tourist attractions. If you are going by road, then work with your children to estimate the gas consumption and the cost of travel. If you are going by train or airplane, then look for schedules and ticket price. Make your children research the destination before visiting it. If you are travelling to a different state, then look for its main attractions, state flower, state bird and history. To hype up the excitement of your children about the museum, visit the museum’s official website and take a virtual tour. The best way to visit the museum is to not look at a museum in one day, take short attention spans. To turn your trip into a treasure hunt, take your kid to the gift shop and ask them to pick an object on display and then search for it in the museum. Look for the time span which your children have studied in the school. Young children can learn to be responsible if you can ask them to set the table, take care of a pet, clean out the closet, wash the car or paint the picket fence. Ask your child to be the agent of saving energy in your house; ask them to help you in finding new ways to conserve electricity. Summer jobs and community service help the children to be punctual, follow directions and serve others. These activities can turn the boring long summer vacation into time full of enthusiasm and lifelong learning.